A team of top notch engineers and designers that build blazing fast and scalable websites, applications, and software products that improve your business. Whether you have a new site that needs to be built or an existing one that needs help, we can handle it. We have decades of experience working on all kinds of design and development projects. We are fully invested in the success of your business. Most of our clients work with us on a retainer basis which nourishes a long term partnership. We care about you and want you to succeed. We have extensive experience building out custom APIs as well as integrating 3rd party APIs with your site or application. Once you start to combine relevant APIs together, a whole new world of possibilities unlock. We can take your concept from an idea to a beautiful and impactful design that converts visitors into customers. Our designers are experts at crafting high end websites and user interfaces that you will love. Our team is versatile and has a wide array of skills that enable us to choose the right tool for the right job. We love building complex applications that are everything you dreamed of and more. We can audit your existing codebase and provide a detailed report describing any security and performance concerns as well as explaining why they should be addressed and how to fix them. If you are concerned about your site being hacked or loading slowly / crashing, an audit will be a great place to start. 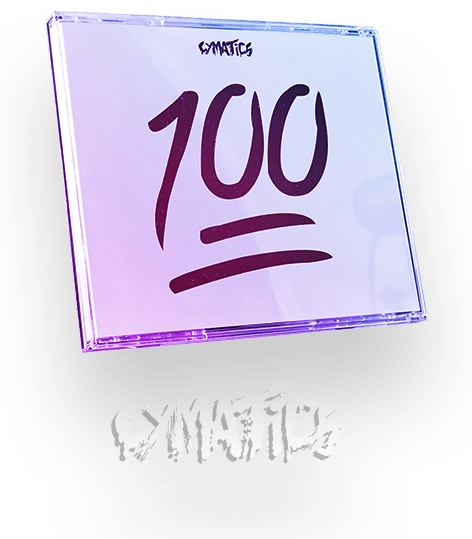 Cymatics needed the ability to host contests for their vibrant and talented community. They wanted to be able to configure and manage these contests seamlessly from within their WordPress powered site. Together we scoped out the requirements of the project and Codivated built a completely custom and tailor made solution that lets Cymatics host an unlimited number of contests easily. Drop us a line and let us know what's on your mind. Feel free to reach out.